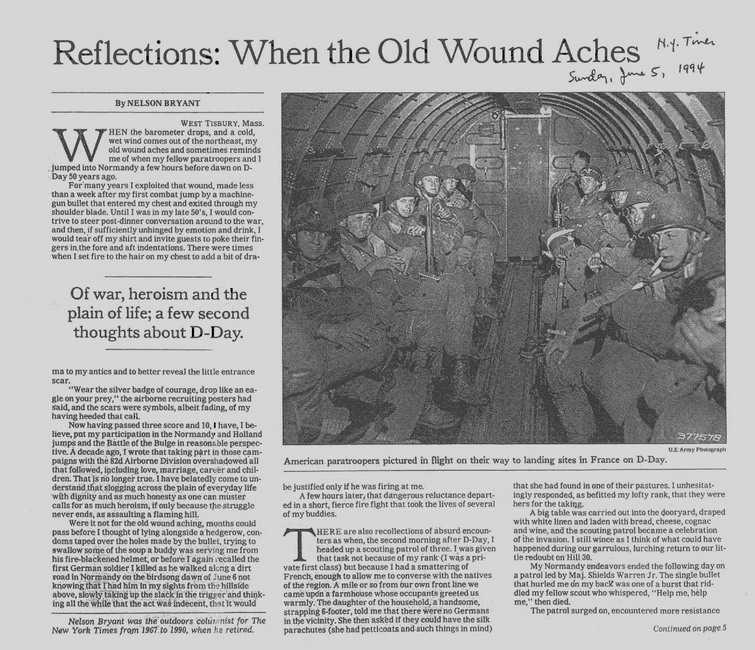 Published in the NY Times on June 5, 1994 this feature story was written by Nelson Brant who jumped into Normandy and Holland as a member of Company D,508th PIR. Although twice wounded, once by a machinegun round through the chest, Nelson survived the war and became a journalist. This is a story in his own words as to the effects that he felt after the war and his ultimate coming to grips with the experiences. Image 1 How Nelson was enticed to enlist as a paratrooper. The firefights in Normandy and a impromptu lunch with local residents. 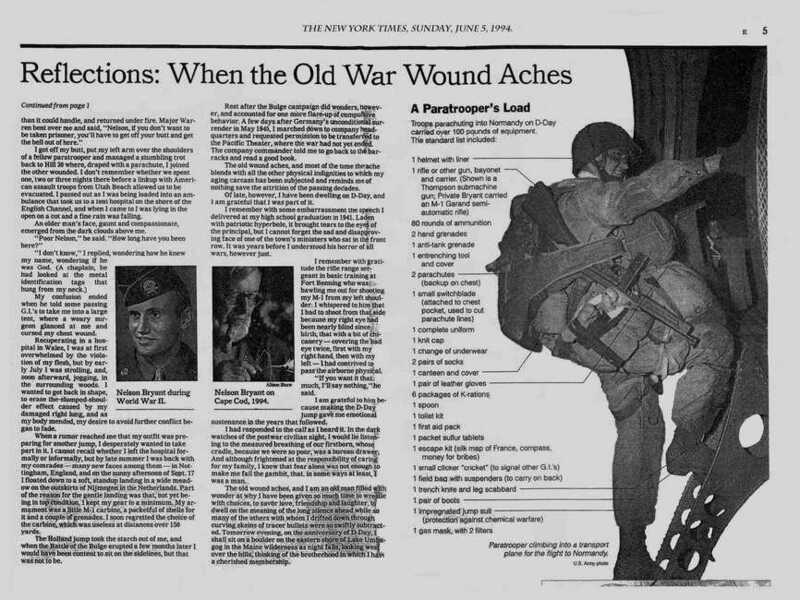 Wounded by machinegun fire. 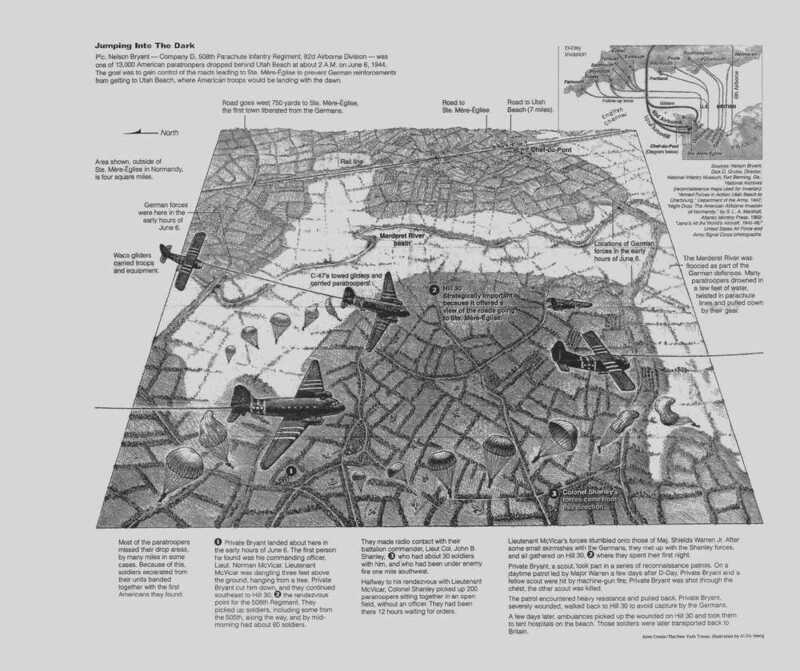 Image 2 Graphic depiction of the invasion and the role of the 508th. Image 3 Conclusion of Nelson's story and a graphic inventory of the paratroopers load.